Discussion in 'The Unscripted Entrepreneurial Mind' started by LamboKing, Sep 7, 2018. Yes you heard it right, 29 going on 30, and landing a man on Mars seems more hopeful then my chances reaching the fastlane. 29, near Houston, and I’ve had many failures in business. From painting curbs, to cutting grass, I experienced short term success, but nothing you could say Fastlane. I’ve read unscripted and TMF, my vehicle is primed and fueled, yet no success. Why? Maybe because I haven’t executed properly or have been chasing commoditized fields everyone else is doing? Maybe I’ve been lazy and have been chasing ideas, not execution? Before reading TMF, my goal was to be a music producer. The field is highly commoditized even though my music is somewhat decent. Success was benign after networking and working for years. As of today, most of my music is used on television shows (placed over 280+ episodes), which sounds like a lot but the pay isn’t. I’ve been getting around $400/month (royalties) for the past 2-3 years. I’ve made $4200+ this year, and expect another $600-1000, but I suddenly quit. Not that I just want to quit, but to reach my financial goals would require about 6,000 songs. 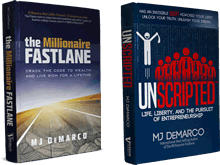 In Unscripted, MJ says while wanting for the perfect idea get off the couch and start selling. I did just that, averaging $500-$1000/month (this summer was great making $6000+ the last two months (around a little over $5000 profit that bills basically ate up). I sold and flipped jelly for wonder bread. If I listed it online, I read books Improving copy skills, tested conversions, and improved titles. Leads interested would call, and I’d sell them and close the deal. From Rims that we’re given to me from a neighbor selling for $150, to web design work. 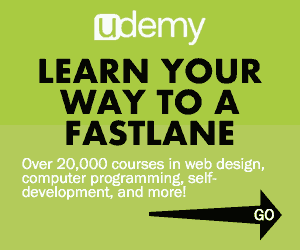 Anything to improve my skills for the Fastlane. Now that I exhausted my inventory, feels like I’m back at square 1. Hate to ramble on and on, but everyone is like family to me on here. Read unscripted and TMF, vehicle is primed and fueled, yet no success. Why? Maybe because I haven’t executed properly or have been chasing commoditized fields everyone else is doing? Maybe I’ve been lazy and been conjured down chasing ideas, not execution? Kind of just looking for an outside look on my situation and suggestions or advice? I didn’t quit my job yet (something with little pay you could get out of high school) to cover the bills, but managed to save well over enough for a rainy day, and I have been stuck on the next step venturing into starting a new business. I have a few ideas, nothing set in stone, but wondering if I should just choose one and go head on, or scrape them, or what is a good option to take? - Designing lightweight bulletproof vest for students. School shootings are occurring more frequently and parents are concerned about their kids. The obstacles I would face would be the effectiveness of the vest, and then the legalities of owning a bullet proof vest (not sure if felons can own a vest, how easily these can be obtained). Also designing it lightweight where it doesn’t weigh a ton. - Designing a great app for advertisers. A app which caters to the advertisers wanting to put their product or service out there. Obstacles would be getting my message across the millions of apps out there. - Tiny house idea MJ mentioned in a earlier post. Sounds great and amazing. Obstacles would be getting enough of investment for the land and houses and getting the passed the legalities again with a tiny home. - Market for sugar daddies/market for marijuana users. Not sure how far this would play, but since the closing of cl personals and the rise to marijuana users, I feel I could tap in the market with a better service. My obstacles I feel would be the FOSTA act and law enforcement for the marijuana app. - Web design. Not saying I’m the best web designer or know it all, but I managed to get clients that were satisfied paying me a low around $500/per site(as I type this I had a previous client out of nowhere ready to purchase another site). My only concern is that I hope I wouldn’t be going into another commoditized field like I did with music. Fox has a lot of good advice and just wondering if it’s still a penetrable scaleable field. I appreciate any post, suggestion, or advice. Even the tough love/kick me in the a$$ advice. Kind of feel like my mind is just scattered everywhere.